Getting into a car crash is a scary moment for any driver. After the moment of impact, shock can keep you from remembering what all you need to do. Patrice Banks, author of GIRLS AUTO CLINIC, shares a step-by-step guide to what to do after an accident. With apologies to your car, the best-case scenario for any crash is that it be minor enough that you are still mobile and lucid. You don’t have to call the police after a minor accident, if you and the other party can move your cars safely out of the way of traffic. (Police may still come to help out if they observe the accident.) The police should be called if the accident is impeding traffic or is a safety concern. Here are the things you should do if you are in an accident. Move your vehicle safely out of the way of traffic, if possible, and turn off the car. Catch your breath. Apply the emergency or parking brake and turn on your hazard lights. Make sure no one in the car is hurt. If you or anyone is hurt, call 911. Get out of the car and put out any flares or orange cones you have to alert traffic of an emergency situation. Check the vehicle over for the damage. If you crashed into another vehicle or vehicles, exchange information with the other driver or drivers. 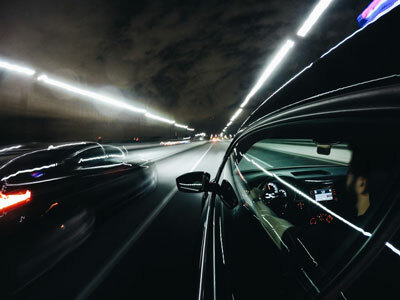 Ask for the drivers’ license and insurance information and record their names, addresses, phone numbers, insurance companies and policy numbers, the VINs of their cars, and their license plate numbers and states. If the name on the driver’s license doesn’t match the name on the insurance policy, get the name and contact information of the policyholder. Use your cell phone to take pictures of any damage to both cars. It might also be helpful to take pictures of the surrounding area to help explain how the accident happened, especially if there is a disagreement on who’s at fault. Let’s be honest, #shecanics, getting in a car crash can be scary if the other vehicle’s driver is aggressive or gives you a bad vibe. If you don’t feel comfortable, stay in your car with the doors locked and call the police. Call for a tow truck if your car is not drivable. For more tips on car car and maintenance, pick up a copy of GIRLS AUTO CLINIC by Patrice Banks. Also from Tips on Life & Love: Learn how to check your oil like a pro. 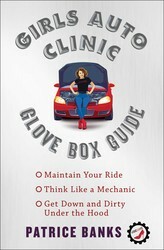 Excerpted from Girls Auto Clinic: Glove Box Guide by Patrice Banks. Copyright © 2014 by the author. Used by permission of the publisher. All rights reserved. A do-it-herself guide to auto maintenance, roadside emergencies, and the real scoop on how women can get honest car service at the garage, from engineer turned auto mechanic and award-winning entrepreneur Patrice Banks.Do you feel lost when explaining your car problems to a mechanic? Do you panic when something goes wrong with your ride? Have you felt like you were being overcharged or pressured into unnecessary add-ons at the auto shop? Fear no more: The Girls Auto Clinic Glove Box Guide has got your back.